A perfectly still winter morning shortly after sunrise gave rise to a splendid mirror like reflection of blue tinged snow laden clouds above the snow capped peaks surrounding Loch a Chroisg. This place gets very cold and usually hangs on to any snow fall that accumulates and on a pristine morning such as this I was correct in my assumption that the snow packed ground would be almost unblemished. 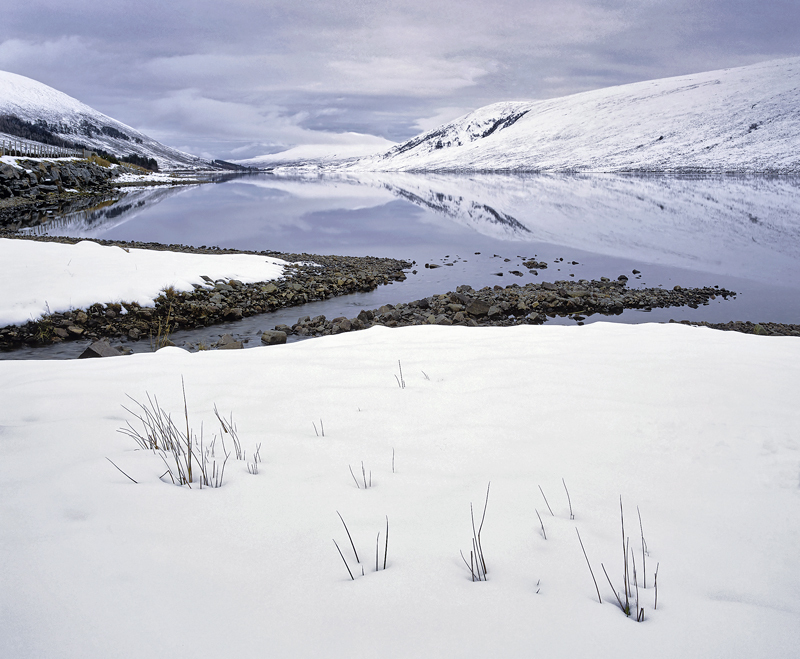 I lined up a delicate foreground of straw coloured grass poking through the snow pack and relied on its weak opposing hues to offset the equally delicate blues in the clouds and sky reflected in the loch.